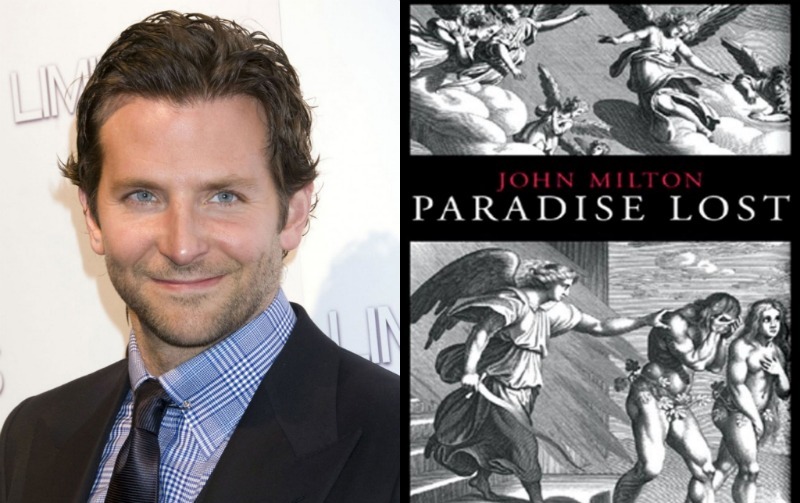 Bradley Cooper is in talks to play Lucifer in Legendary Pictures adaptation of John Milton's epic 17th-century poem Paradise Lost. No official offer has been made, but Cooper is interested in the role so negotiations are expected to start soon. The long gestating adaptation is being directed by Alex Proyas, and tells the story of "the epic war in heaven between archangels Michael and Lucifer, including the latter's role in Adam and Eve's fall from grace." The film is being developed as an action film that willl include aerial battle sequences, and may be shot in 3D. Legendary's Thomas Tull and Jon Jashni are producing along with Vincent Newman (We're the Millers). The primary draft of the screenplay was developed by Stuart Hazeldine based on the original script by Byron Willinger and Philip de Blasi. A subsequent draft was penned by Lawrence Kasdan and the most recent version was written by Ryan Condal. The film is expected to be part of Legendary's co-production and co-financing agreement with Warner Bros., which will likely distribute the film worldwide. Cooper is currently in negotiations to star in Legendary's The Crow. The original was directed by Proyas. Cooper will be seen next in The Hangover Part II, opening on May 26. He's also attached to star in the indie drama The Words. I am imagining some epic battles in the sky with Cooper's Lucifer. Proyas is a solid director with a grasp of this genre. It will be interesting to see how this poem translates into an action film and better yet, how it looks if shot in 3D. Casey Affleck to play angel Gabriel in PARADISE LOST?